After posting my last blog, husband Sam and I packed our bags and headed off to Australia so this month I would like to share some thoughts and photos from our travels. This was my first visit to the land down under and I was excited to meet up with former students and see how the medical alert service dog training was coming along and learn more about the service dogs in this part of the world. What really made the trip special for me though was Sweet Snoopers™, the stuffed dog model from my new educational coloring book about service dogs, had arrived prior to our departure and he was able to make the trip with us. Snoopers is the ambassador for the new online training program for people who are training their own medical alert dogs. This program will help people who cannot make it to workshops or who want additional training. As part of my commitment to give back to the community, a generous portion of the proceeds from the program will be donated to the non profit Diabetes Alert Dog Alliance to support further research and education on the valuable services these dogs provide. The first thing I noticed different about traveling in Australia is the lack of facilities at airports for service dogs. All the major US airports I have visited have some type of facility for service dogs but I was hard put to find anything in Sydney, Melbourne, Hobart, or Cairns, the four airports we traveled between on our journey around the country. After a lovely couple weeks touring on holiday I finally met up with students and friends for some serious dog training. My host was David Graham better known throughout all of Australia as Farmer Dave, at his lovely Farmer Dave Working Dog Center. My first night there I presented a 90-minute lecture to the largest kennel club in Australia, where I learned from club members about other detector dog work being done in Australia. This was followed by 2 different workshops on my Super Sniffer™ program, one on basic detector dog training and one on medical alert training. 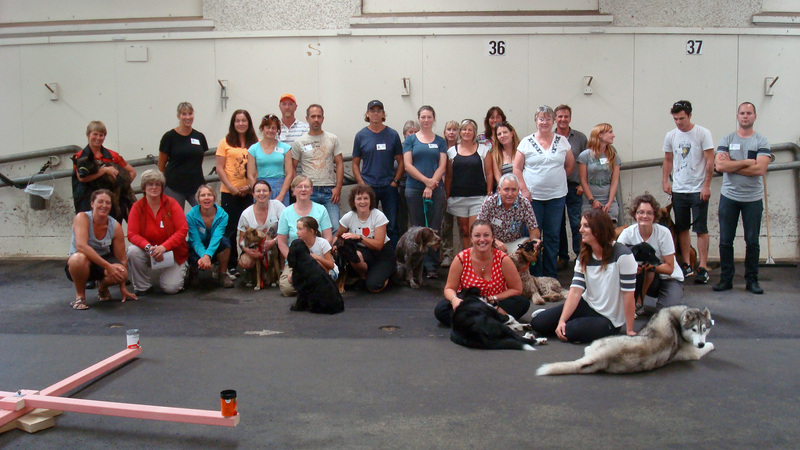 There was a nice mix of dog breeds present at each workshop. I was most impressed with the quality of the Doodles; the ones I evaluated had a very good work ethic and lovely demeanor; all were a pleasure to handle. Terriers and herding breeds were also prevalent in my classes and proved to be great workers as well. within a few days after starting. I was missing my Chihuahua Boo who had to stay home due to the Australian quarantine laws, but Diego took up the slack and provided lots of Chihuahua kisses and lap time during my stay at his house. Diego introduced me to his friend Alice, a rescued Dingo, which is a native wild dog breed in Australia. I had never met a Dingo before and found Alice to be particularly curious but calm with a very stable bearing. Alice was being trained to help with a promotional program within the country to bring attention to rescues. I’m sure she will be a good ambassador for this worthy effort. The trainers I met and spoke to were talented and well versed and I learned that there is more pressure in Australia to have all professional trainers certified by one of the many venues available to them for doing so. There are programs at the universities and colleges offered that lead to certificates in various specialized areas of animal work and training. There was concern among the trainers from the service dog schools about certification of the dogs and public acceptance of the dogs once trained. This is a theme that is becoming more common as I travel and talk to people and underscores the urgency to continue educational efforts at all levels. All agreed that an international standard of minimum performance such as the one the Diabetes Alert Dog Alliance has put together is a great start in the right direction. This type of testing helps to establish the acceptance of these dogs for public access where they are not currently being accepted, but as many of the trainers realized the data we acquire from the dogs being tested is also necessary for our ongoing efforts to get insurance companies to financially support people using the dogs. It was great meeting and talking with some of the country’s top trainers and I look forward to hearing about their progress in the future. The end of our trip was spent in the north island of New Zealand on the gorgeous western coast beaches of Orewa. There was not much time for sightseeing as I was presenting 2 workshops to help raise funds for the non-profit service dog organization Kotuko Foundation. 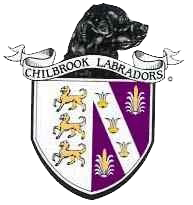 This group, started in 2006, has just recently graduated its first diabetes response dog (DRD), a Siberian Husky. Their DRD program is small but interest is growing and there was a great turnout at the event by professional dog trainers as well as individuals training their own DRDs. Huskies are not a breed of dog I would normally associate with this type of work but I was most impressed with the performance of the dog. I was able to see her live alerting and found her to be competent on all accounts in performing her duties. It just goes to show that one cannot judge a dog by breed; rather you need to look at the individual. The NZ Television crews were anxious to film this big event. For the most part, the program in New Zealand is a good one; my only concern was with sample containers and sample handling. Any island will have challenges in getting specialty items at a reasonable cost so this was not a surprise to me; it was something we discussed at great length however. Many of the handlers and people I spoke with were also experiencing what their Aussie neighbors had complained about, primarily that the public is aware of guide dogs and hearing ear dogs but have almost no awareness of other types of service dogs. It also appears in New Zealand that a lack of standards for testing is a major setback for acceptance under current laws. Hopefully this will be changing in the future with more lobbying efforts by organizations such as the Kotuko Foundation and the Diabetes Alert Dog Alliance and education about what type of services these dogs provide. To help launch this effort we were able to secure an interview on their largest national TV station. Snoopers was present for the interview and we all felt the coverage was most positive and would help with our efforts to educate the public about Diabetes and other medical service dogs. We did get to tour for one day before leaving for the USA and found the countryside in New Zealand to be lush, rugged and breathtaking. I have posted many of the photos from the trip on Facebook so please follow this link and have a look see for more photos of “Middle Earth”.